The project, part of two contracts that sum $7.2 million, will remove blockages from the sewers and restore the capacity. The effort, part of an infrastructure improvement plan, will increase both capacity and reduce pollution. The sewer system, among other infrastructure issues, has hindered the county’s ability to attract new businesses and industry. CEO Michael Thurmond provided updates at a press conference on Wednesday. He was joined with the contractor who provided a demonstration of the technology used in part for this project. The Contractor, Compliance Envirosystems based in Baton Rouge, Louisiana, uses robots to send telemetry to workers above ground with images of the sewer. Debris, a total of 80 tons removed thus far, causes blockages in the sewer and decreases the overall capacity of the sewer. A heavy rain throughout the county puts a strain on the restrictive system. The result is raw sewage being spilled into nearby creeks and streams. Residents in nearby clogged sewers have complained for years and have received very little response from the county. The county is current under a federal court order to reduce sewage spills and have resulted in a $294,000 series of fines from the EPA. The overall project is expected to cost the county $1.35 billion over the next ten years. The first step is to evaluate the current conditions and remove the debris that may cause blockages or reduce capacity. Compliance Envirosystems uses robots to evaluate and remove certain debris. A worker carries a robot into the sewer. The robot, equipped with sonar and camera technologies send the data back to workers above ground. The data provides an image of flow rates, debris, and a heat map that determines where blockages exist. The contract is set to evaluate and clean nearly 800,000 feet of the sewer system. The technology allows not only evaluation of the sewer in the proximity of the robot but some robots can deploy smaller cameras. 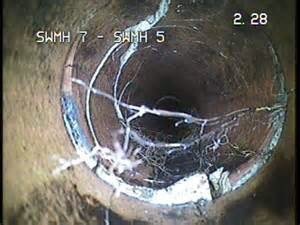 These cameras can be extended into smaller pipes to see the inside of the smaller branches that go left or right. CEO Thurmond echoed the sentiments felt by businesses that the future of the county depends on reliable infrastructure and wanted to assure residents and businesses that the county is addressing what he termed “critical issues.” He further stated this was necessary to restore industry confidence and provide sanitary outdoor spaces for residents. The federal court order requires the county to reduce sewage spills, totally over 100 spills into public waterways annually, by 2021. The mandates are from both the Federal and State Environmental Protection agencies. The robots not only look for and remove debris such as tree limbs and sediment but they also locate a primary source of sewage blockages. The most common clog is found in “grease traps”. These are formed by releasing grease and oil into the sewer and oil based products such as shampoos. The grease collects and builds causing “grease traps”. The county encourages residents to use care in what is released down the drains of both homes and businesses. 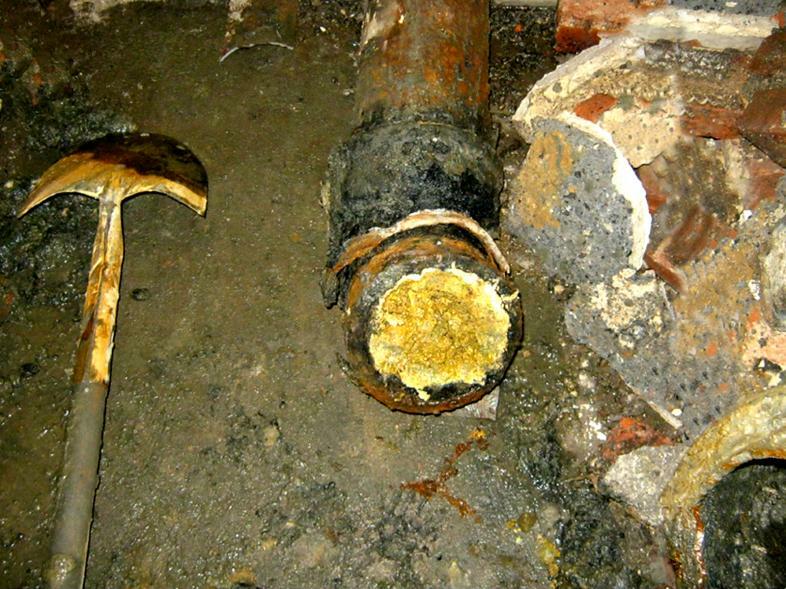 Estimates place the grease traps at approximately 60% of the cause of the blockages in the sewers. Another contract is underway with Brown and Caldwell, totally $28.25 million to rebuild gravity fed sewer systems. The project targets 19 locations throughout the county to reduce sewage spills. The repairs will include manhole repairs and maintenance, pipe repairs, and sewer replacements. Thurmond indicated that it would be late fall before new data, and the impact of the work completed, would be known.